The proceedings of Acivs 2017 (LNCS volume 10617) are available at the Springer on-line.website. Acivs 2017 is a conference focusing on techniques for building adaptive, intelligent, safe and secure imaging systems. Acivs 2017 consists of four days of lecture sessions, both regular (25 minutes) and invited presentations, and poster sessions. The proceedings of Acivs 2017 are published by Springer in the Lecture Notes in Computer Science series and are listed in the ISI proceedings index. A selection of authors with high quality papers in Acivs 2017 will be invited to submit an extended version of their paper to a special issue in the Integrated Computer-Aided Engineering journal, which currently has an IMPACT factor of 4.9. The submitted journal paper must have at least 1/3 of new or changed content. Acivs 2017 features a conference dinner, and other social activities. Opening reception: Belgian Beer Walk Antwerp always has been a city of Beer and Pubs. Discover the greatest harbor city of the Middle Ages and the Belgian beer culture based on beer and brew stories. Learn about beer tasting and different beer styles. Cultural activity: enjoy a guided tour in the historic Medieval centre of Antwerp. Conference Dinner: Enjoy an exquisite meal in a real Palace in the city centre of Antwerp. The conference fee includes the social program (conference dinner, opening reception, and cultural activities), coffee breaks, daily lunches and a copy of the proceedings. The registration fees (including VAT) are 350 € for students, 500 € for IEEE members and 550 € for all other participants). In case one presenter presents multiple papers at the conference, one registration fee suffices. However an additional fee of 200 € will be charged for each additional paper. Thanks to sponsorship by LNCS, Acivs 2017 features a best paper award. All authors of accepted papers qualify for this award. Trevor Gee (University of Auckland, New Zealand), for his paper "Robust Tracking in Weakly Dynamic Scenes." Multidimensional Image Processing: optical, infrared, radar, sonar, polarimetric, multispectral, hyperspectral and other types of images and videos; including applications like remote sensing and medical applications. Image and Video Analysis: segmentation, computational photography, tracking, pattern analysis, computer vision, early and biologically inspired vision, information geometry, image and video databases, search and retrieval, multimodality, authentication and watermarking; including applications like events supervision, surveillance applications, biometrics and forensics, robotics. Image and Video Coding: coding, quality metrics, image and video protection; including applications like multimedia applications, mobile imaging, augmented reality. 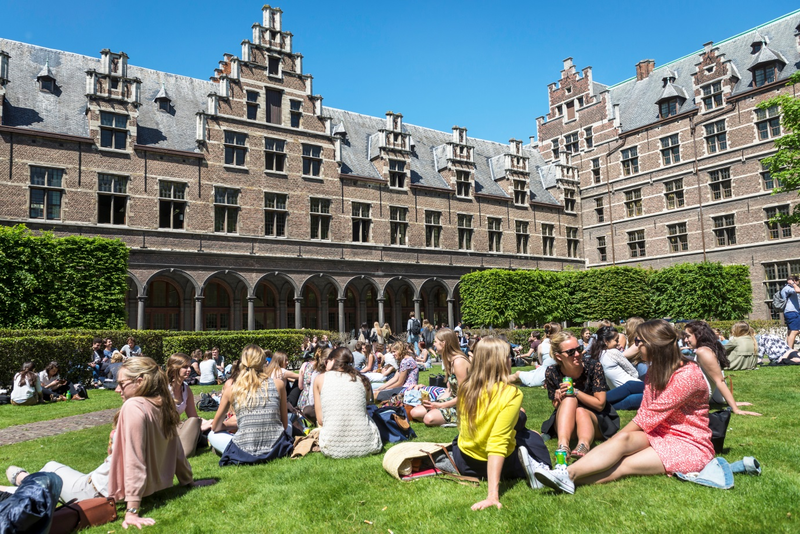 The conference takes place in Building S, The Grauwzusters Cloister, Antwerp, Belgium on Sept. 18-21, 2017. Rudi Penne, University of Antwerp, Antwerp, Belgium. Hojjat Adeli, Ohio State University, Columbus, USA. Syed Afaq Shah, The University of Western Australia, Perth, Australia. Fabio Bellavia, Università degli Studi di Palermo, Palermo, Italy. Jenny Benois-Pineau, University of Bordeaux, Bordeaux, France. Adrian Bors, University of York, York, UK. Tiago J. Carvalho, Instituto Federal de São Paulo - Campinas, Campinas - SP, Brazil. Gianluigi Ciocca, University of Milano Bicocca, Milano, Italy. Eric Debreuve, CNRS, Sophia Antipolis, France. Stéphane Derrode, Ecole Centrale de Lyon, Lyon, France. Véronique Eglin, INSA, Villeurbanne, France. Bart Goossens, Ghent University - imec, Ghent, Belgium. Artyom Grigoryan, UTSA, San Antonio, USA. David Helbert, University of Poitiers, Poitiers, France. Kazuhiro Hotta, Meijo University, Nagoya, Japan. Ludovic Macaire, Université Lille 1 Sciences et Technologies, Villeneuve d'Ascq, France. Fabrice Mériaudeau, Universiti Teknologi PETRONAS, Seri Iskandar, Malaysia. António J. R. Neves, University of Aveiro, Aveiro, Portugal. Fernando Pérez-González, University of Vigo, Vigo, Spain. Caroline Petitjean, Université de Rouen, Rouen, France. Aleksandra Pizurica, Ghent University - imec, Ghent, Belgium. Ljiljana Platisa, Ghent University - imec, Ghent, Belgium. Florence Rossant, ISEP, Paris, France. Carlo Sansone, Università degli Studi di Napoli Federico II, Napoli, Italy. Ivan Selesnick, New-York University, Brooklyn, USA. Andrzej Stefan Sluzek, Khalifa University, Abu Dhabi, United Arab Emirates. Luuk Spreeuwers, Twente University, Twente, The Netherlands. Hugues Talbot, Université Paris-Est - ESIEE, Noisy-le-Grand, France. Nadège Thirion-Moreau, SeaTech - Université de Toulon, Toulon, France. Giuseppe Valenzise, CentraleSupelec, Orsay, France. Sergio Velastin, University Carlos III, Madrid, Spain. This conference is listed on conference-service.com. This conference is listed on Isaac Scientific Publishing, Journal of Circuits and Systems. The data on this page is © Acivs 2017. All rights reserved. This page was generated on Wednesday April 24th, 2019 05:52:16.